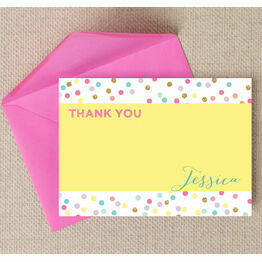 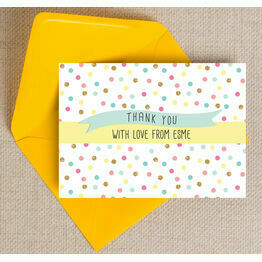 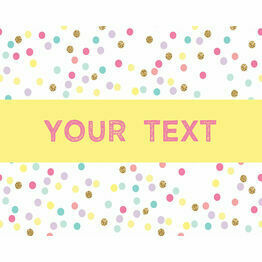 Nothing says party quite like our pastel confetti themed stationery range! 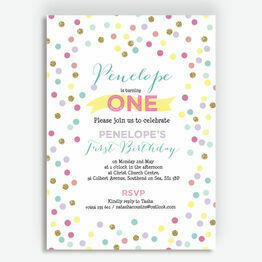 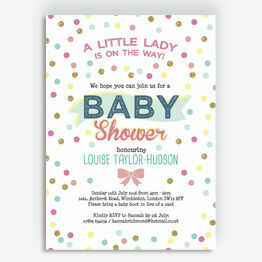 Printed with cute colours, delicate designs and cascading decorations, put all your friends and family in the mood for a big celebration! 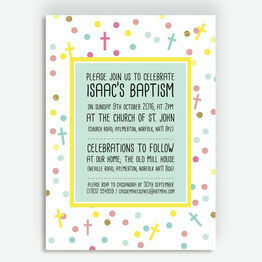 If you're planning a wedding or children's birthday, you can choose to personalise your cards as you wish and use our printing options to suit your budget!